Since 2006 Mobile Skips have been giving Australians a simpler, better and cheaper alternative to old fashioned skip bins. During 2013 we began our successful partnership with Bunnings and since then have been introducing Mobile Skips to our happy customers all around Australia. Mobile Skips is a simple, unique offering with great systems that allows our franchisees to grow their businesses and prosper within an authentic partnership. Mobile Skips are seeking enthusiastic self starters who are passionate about customer service and would love the opportunity of growing their own business. As a Mobile Skips franchisee you will be supported by proven systems, cutting edge IT and a support team that are invested in your success. Mobile Skips is different to all the other Franchise systems out there as we invest alongside our incoming Franchisees, creating a true partnership in the success of their territory. Take the next steps now to join one of Australia’s most innovative and fast growing brands. Simple business model with huge potential. A unique product with innovative features. Minimal Investment with no technical skills. Flexible work hours around customer demand. Easy to run with head office handling all the business administration. State of the art, automated cloud based booking and management software. High Visibility, strong brand visibility recognition with national exposure through Bunnings Warehouse. can you please tell how much and how long can you hide one. I need to know the biggest one you got. Too expensive for only 2 days. How does anyone fit 4m3 into that little thing? My landscape tipper trailer is twice the size of that and only just fit in 4m3 soil into it from the garden centre, you sure this isn’t a 2m3 bin? False advertising; and get someone to properly check the size and not guess the size of these useless bins that look very hard to load into. Verbally abusive towards me on the phone and via text. Does not appreciate customers and very condescending.Didn’t get the facts straight. Was 3 hours late for drop off , even though he called the night before to say he would be there first thing at 7am.Didn’t pick up at booked time, then lied about it and inconvenienced my clients who couldn’t park at my premises for 3 days in a row. overall good experience. thank you. Great service by Steve. Perfect for apartment renos as the skip fits into parking bay. I AM VERY HAPPY WITH THE SERVICE FROM MOBILE SKIPS. WE WERE DOING SOME MORE RENOVATIONS ON THE HOUSE. A BATHROOM AND ROOF GUTTERS. NOT WANTING TO DOUBLE HANDLE THE WASTE MATERIAL WE JUST GRABBED A MOBILE SKIPS FROM BUNNINGS WHILE WE PICKED UP SOME HARDWARE SUPPLIES AND TOOK IT HOME. WE\'RE ON OUR SECOND ONE NOW. TOROA THE FRANCHISE AREA DRIVER JUST PICKS THEM UP AND DROPS OFF ANOTHER ONE OFF. NOTHING IS TOO MUCH TROUBLE FOR THEM . THEY CAN DO EVERYTHING ONLINE OR ON PHONE. BUNNINGS JUST ARRANGE EVRYTHING AT THE COUNTER WHILE YOU\'RE THERE. I\'M VERY PLEASED WITH BOTH BOTH BUNNINGS AND MOBILE SKIPS I\'LL BE ORDERING ANOTHER MOBILE SKIPS AS SOON AS THIS GETS FULL TO DO OUR FENCING SOON. GREAT GUYS THANKS FROM VERY SATISFIED CLIENT. Great service and price. Will use them again next time I need them! Excellent Service Richard was fantastic to deal with. Dropped it off and picked it up with no problems. Third time I’ve used these folks. Always on time, quick to remove when requested. Good value, great service. Many Thanks to Paul Juett at Mobile Skips SA. EXCELLENT service, delivered exactly where I wanted it in a difficult driveway with curve and ramp, and collected at short notice! Will definitely use again, and will HIGHLY recommend! Great value for money! Booked through Bunnings and paid with PowerPass card account. Paul from Mobile skips was excellent. He was very prompt with delivery and pick up of the skip I ordered. He was also friendly and helpful when I had a query. The skip it self met my needs perfectly. I would be very happy to use this company again and recommend them to my friends. Thanks Paul and Mobile skips! Excellent service Skip delivered and collected efficiently by Dan - thanks Dan for speedy and efficient service. Thanks for providing the easiest skip to use - having a lock makes it safe from midnight dumpers � - highly recommended thank you!! Great service from Peter Jones in WA. He reversed into the garage no problem. No scratched driveway like some other truck delivered skips. Highly recommended. Brett was very professional, turned up when he said he would, very pleasant experience. Brilliant service. Only ones I could find that did a booking and delivery on a long weekend. Driver communicated directly before drop off and pick up and stuck to promised times. Highly recommend! Fantastic service by Paul arrived on time such a convenient way to clear out rubbish from around the house will certainly use you again. Organised the skip through Bunnings and was very pleased in our dealings with this company and in particular Dan who looked after us. Couldn’t have been happier with my experience with mobile skips! So easy to deal with and very accommodating. Would definitely recommend Paul and his team to anyone, and we will be using them again in the future. Our experience of mobile skip - very positive- Hamish was polite and talkative- drop off and pick up at 07-50 - no issues regarding weight- our skip was full - no extra payments needed. Thank you Mobile Skip - we will use your service again. Regards Michael and Karen of Balnarring . Very happy with this service. Delivery and removal were prompt. Friendly and reliable service. We had the skip delivered to our carport via the back lane, though tricky to manoeuvre the driver tackled it with ease. It makes sense to hire a mobile skip. Delivered on time and picked up on time easy-to-use and great having lockable lids. My only criticism perhaps a little bit pricey. Great , couldn\'t be easier, very convenient service. Easy and efficient. Booked a skip online and received a confirmation quickly. Skip was delivered on time and David was friendly and helpful. 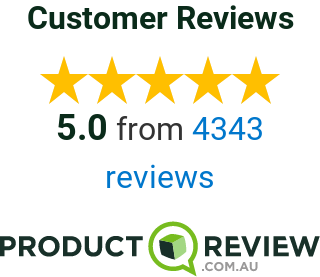 I have used the company twice in the last year and the service has been very good, delivery and pick up right on time and the staff were very plesent to deal with. Would recommend to others. How will Mobile Skips support your business?